In spite of the Depression, large scale community events such as parades and fairs were among the most popular entertainments in communities large and small. 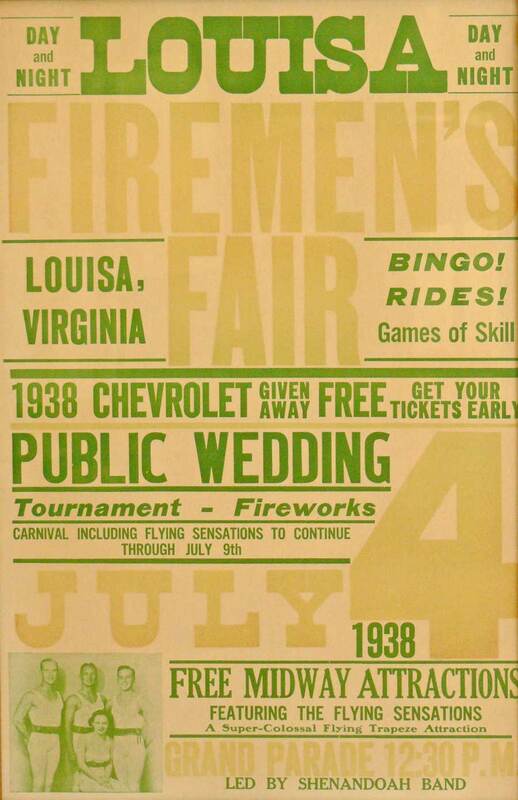 The Firemen's Fair was held each July 4th in the Town of Louisa and included attractions ranging from a public wedding to bingo games. Mr. John Jerl Purcell, Jr.
“1938 Firemen's Fair,” Piedmont Virginia Digital History: The Land Between the Rivers , accessed April 25, 2019, http://piedmontvahistory.org/archives14/index.php/items/show/110.